A music genre categorizes specific music to belonging to a particular group depending on the shared tradition or set of some conventions. Music genres can be categorized according to place, time, outstanding characteristics such as some music genres can be danced while others can’t be danced, musical functions for example some music are used in wedding ceremonies, political functions and funeral services. Music genres used in a wedding ceremony is a kind of music that tend to promote love between the marrying couples, music used in political functions tends to convince people to support a particular politician while those music genre used in funeral services are majorly directed towards biding the departed one a goodbye. Music genres are of different types and styles ranging from traditional rock, world pop, easy listening and bluegrass. Others may include; blues, rnbs / soul, hiphop, reggae, jazz, country music and alternative. We will base our discussion on blues music genre. 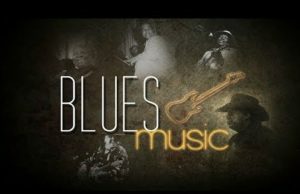 Blues music genre originated from the black community of the United States from their spiritual work of worshiping, work songs, field hollas, chants, simple narratives and ballads in the early 20th century (Lock, 2009). Blues music genre consist of musical features such as lyrics, bass lines and instrumentals, the lyrics characteristic in traditional blues songs consisted of a single line repeated four times. The modern blues structure which consists of the AAB pattern became to existence in the mid-20th century, the AAB pattern consisted of a line sung over and over again among the first four bars, it is then repeated over the next four bars and finally it is then concluded over the last bars. Blues music genre often talked about the problems experienced by the African American society, most of the early blues were composed in a form of a loose narrative. Here the singer expressed his/ her own problems in the world of harsh reality, for example some musician could express pain due to heartbreak, discrimination of the blacks community, police cruelty and the oppression by the employers. Blues music genre can be basically described as a vocal and instrumental form of music that employs the use of “blue notes” or “worried notes”. Presence of this feature in blues music is a clear indication of the African American culture, blues music became famous in America in the 1960s and 1970s, the origin of some music genre such as jazz can be traced from blues music. Blues rock which is considered a hybrid form of blues also originated from blues where blues music was combined by various forms of rock and roll music to form blues rock which also become famous in the 1970s. Blues music genre has for long time served as the backbone of almost all the music genre and other music yet to be developed. There’re a number of blues legends who inspired contributed, studied and sung the blues songs that need to be recognized. They included; Duke Ellington, Dizzy Gillespie, Louis Armstrong, Charlie parker, John Coltrane, Little Richard, James Brown, Jimmie Rodgers, Ray Charles, Bill Haley, James Brown, Hank Williams, Buddy Holly, the Beatles, the rolling stones and Bob Dylan. These early blues musicians made a great contribution in blues music to ensure it’s where it is today, they created new sounds and ideas in the world of blues music (Murray, 2009). 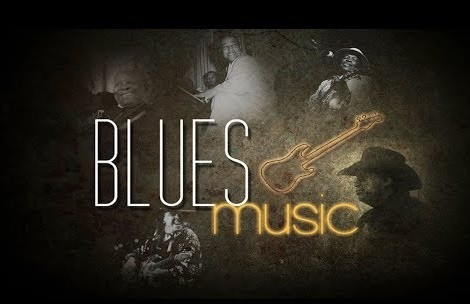 It’s important for every person interested in music to learn a little about blues music, this is because country music contains some elements of blues music; for example early country musicians such as Johnny Cash and Hank Williams works in country music was inspired by the blues music and some of their music contained the elements of blues music. Secondly, rock and roll music also originated from the blues music genre. Rock and roll music genre music artistes such as Jerry Lee Lewis and Elvis Presley were influenced by the blues, for them to develop the rock music; they adopted some of the features from the blues music. Blues music is the mother of other music genres that most of the musicians can’t ignore when composing most of their songs. Another importance of blues music genre is its 12 bar blues feature, 12 bar blues feature is a I-1V-V chord progression that is clearly presented in every blues music genre and other music genres. 12 bar blues feature were widely used in rock and roll music and a good example is “Hound dog” by Elvis Presley, in jazz, the feature was used by Charlie Parker in his “Now is the time” music. The feature was also widely used in pop music to make it more appealing to the audience. Another important feature of blues music is the use of pentatonic or the blues scale, it required the musician to master the blues scale and once it is mastered, it could be applied or used in other music genres such as rock, pop, country and metal (Gioia, 2009). This feature of the blues music is one of the cheapest and easiest to learn since most of the musicians can master it quite faster. Blues is one of the music genres that had the greatest guitarists on earth, guitarists such as BB King, Albert King, Robert Johnson, Freddie king and T-Bone walker are a great inspiration especially to the aspiring guitarists. These great guitarists have greatly contributed to the world of music, so I think theirs need for an aspiring guitarist to learn a little a bit about the blues music and the legend guitarists. Finally playing a guitar and at the same time singing blues music is fun and enjoyable and makes the singer feels great, listening cool blues in a bad day can help relieve some temporary stress and promote peace of mind. There’re different types of blues music, these includes; country blues which is the most common type of blues music, this type of blues still in cooperates the features of original blues structure. Country music uses guitar and the banjo which are the major components of acoustic instruments. Country music often tells a sad song, may be something that was experienced by the singer or someone close to the singer. The legends of country blues are people like; Dolly Parton, Union Station and Alison Kraus. Another sententious type of blues is the Mississippi Delta Blues; same to country blues, Mississippi delta blues also uses acoustic sound instruments such as guitar and the banjo. However, Mississippi delta blues sounds different from the country blues. This type of the blues originated among the blacks in the Mississippi delta of the United States, this type of blues majorly stresses on the rhythm. The rhythm is produced by the “bottleneck slide” method of playing the guitar. Chicago blues is another type of blues music genre, like country blues, Chicago blues also incorporates the features of original or the traditional blues the different is that the music instruments used in Chicago blues differs from those that were used in original blues. The instruments evolved because of the evolving audience; currently Chicago blues is none existence since it’s difficult to get musicians playing the Chicago blues. Initially, Chicago blues was famous in clubs and dance halls where it dominated for several years. Another type of blues that became famous in Texas is the electric blues; this type of blues gained popularity when blues musicians gained access to electronic instruments and amplifiers. Later electric blues traversed the borders of Texas and was adopted by other states and countries. Blues music has a number of importance in the human life, to begin with; blues music is the key to creativity. Blues music steer creative thinking and thus facilitate innovations, most of the world greatest minds and thinkers such as Frank Lloyd explored their creativity (Mossman, 2009). Secondly, blues music is a slow and engaging type of music that makes the education more enjoyable and it can help the learner memorizes most of the things learnt. Music can be used as the language of the universe, listening to music has no boundaries because at some extent human beings can use music to communicate to domestic animals such as dogs and birds. Finally, blues music can create a mood and make someone feel emotion; blues music can make an individual sad or feel more excited. In conclusion, blues music has been there for decades therefore the upcoming music artistes should be more interested in blues and ensure its progression. Lock, G., & Murray, D (2009). The hearing eye: jazz and blues influences in African American Visual art. New York: Oxford university press. Gioia, T. (2009). Delta blues: The life and times of the Mississippi masters who revolutionized American music. New York: W.W.Norton & Co.